MainAll NewsInside IsraelHow Many Arabs, Jews Live in Judea-Samaria? Gap of over one million people in census data from Judea-Samaria population counts; experts accuse PA of falsifying, omitting information. The subcommittee for the Judea-Samaria's Foreign Affairs and Defense Committee met Monday to discuss the demographic situation in the region - after studies revealed that it is unclear, exactly, how many people live in Judea-Samaria in total. Panelists included representatives from the Central Bureau of Statistics (CBS), representatives from Coordination of Government Activities in the Territories (COGAT), and several demographers and academics - including Professor Sergio Della Pergola from Hebrew University and demography expert Yoram Ettinger, a former Israeli ambassador to the United States. Different studies show widely differing population counts for Judea-Samaria's Arab population - with a gap as large as over 1 million people. For example, according to a study by the Department of Information and Research Committee, which relied on the Palestinian Central Bureau of Statistics, there are 2.38 million Arabs in Judea and Samaria. But Prof. Della Pergola estimated that the number is closer 2.34 million - based as well on some Palestinian Authority (PA) information, which he said "may be incorrect." Prof. Yoram Ettinger gave a much lower estimate, by contrast, of just 1.7 million Arabs living in the region. 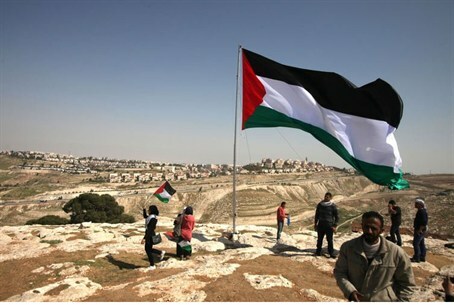 Experts have long accused the PA of inflating the number of Palestinian Arabs recorded as living in the area in a bid to make their case for "statehood" and in order to portray the region as overwhelmingly Arab. It became evident during the hearing that the Civil Administration does not have exact data on the number of Arabs in Judea and Samaria, and that the CBS data only covers Israelis living in Judea and Samaria. That, too, is a cause for confusion, however - as CBS indicates that 360,000 Jews live in Judea-Samaria, but the Yesha Council's count is closer to 382,000. Committee Chairman MK Moti Yogev (Jewish Home) demanded a full investigation into the data gaps, noting that the demographic issue is of "great importance" for infrastructure planning, collecting data on security and living conditions there, and census-taking. Yogev added that the PA's CBS is likely unreliable, noting that it has "false data" with no "summary of the ages and birth data" of PA residents and that "death and emigration statistics were not included." "The reality in which the State of Israel, is responsible for the security and humanitarian needs for the Arabs of Judea and Samaria, requires the Prime Minister and CBS to establish a task force for testing data throughout the Arab population of Judea and Samaria," Yogev added, instructing the heads of the Civil Administration to begin a population registry for Arabs in Area C (the largely Jewish portion of Judea-Samaria).